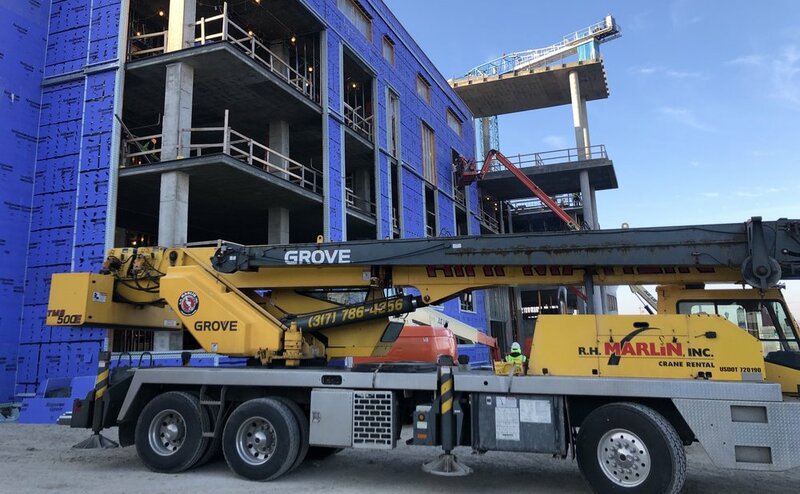 RUKCO is pleased to partner with the Indiana Department of Labor, highlighting our work with INSafe, Pepper Construction and Community Health Network to re-establish safety performance standards and position the Community Hospital East Campus as a model for large-scale construction projects. We are proud to be part of a project positively impacting so many in the community. The vision, collaboration, and execution of Community Health, Pepper Construction, and all contractors has been impressive throughout construction. A job well done. Working in and around trenches and excavations is hazard we take for granted too often. Every year, more than 50 workers die in trench-related incidents and thousands more are injured. OSHA and the North American Excavation Shoring Association recently hosted the Colorado Trench Safety Summit to raise awareness of hazards and best practices. More than 500 attendees participated in training and demonstrations, including a mock trench rescue by local first responders. OSHA also shared compliance assistance resources to help keep workers safe from trenching hazards. 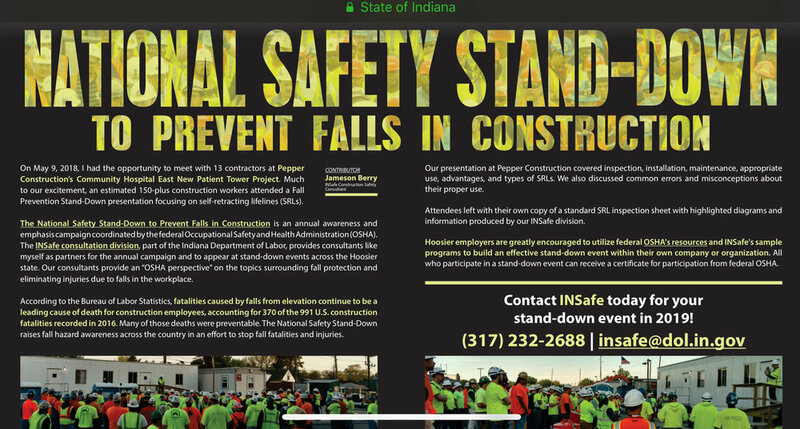 The RUKCO, Pepper Construction and trade partners at the Community Health Network Hospital East project participation in the National Safety Stand-Down to Prevent Falls in Construction was highlighted in the latest issue of INdiana Labor Insider. I almost died following the direction provided by OSHA. The time for reflection and change is now.